Darrell Champlin's book, Venturing with God in Congo, is set to be published now at the two year anniversary of his homegoing. You can find out how to get a copy from Conjurske Publications. 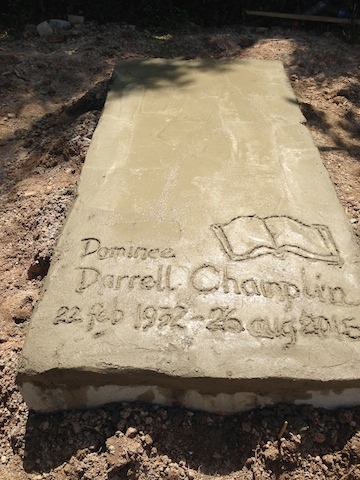 Darrell Champlin left Suriname for the last time on August 26, 2015. He departed from his bed, in his apartment, in the town of Moengo to enter the presence of his Creator whom he had served for most of his life. He had completed his race and had reached his goal. His desire and that of his wife Louise was to die and be buried on the foreign mission field. He had been suffering from Alzheimer’s for a long time. The Alzheimer’s had caused him to become a husk of the man he had once been. Louise, his life partner for 64 years, had taken care of him along with his sons Jonathan, Ethan, and their families. 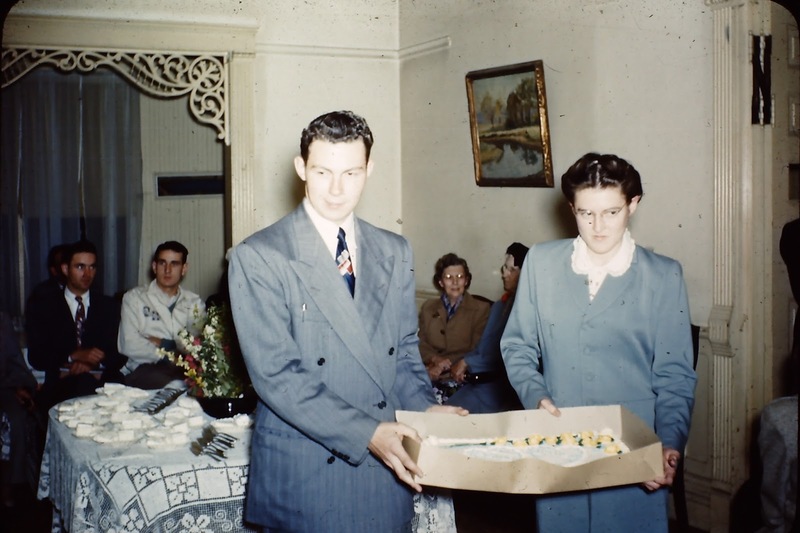 Darrell and Louise met in Bible School in California. They married and there I (David) was born. I am the only American-born child in our family. 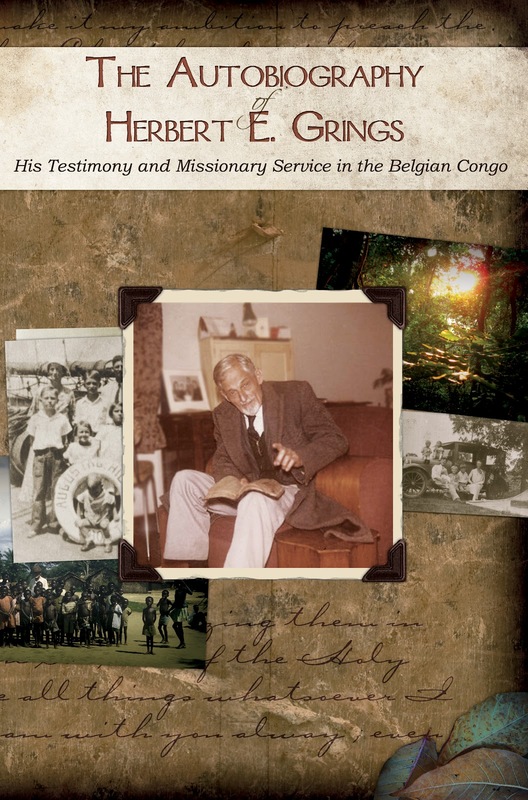 Darrell was only 22 years old when they arrived in the Belgian Congo. I have no memories of how we arrived in the country. Jonathan and Debbie would be born in Congo. I do have memories of trips into the jungle going from village to village with the Word of God. The Gospel was preached in places few, if any, foreigner had ever been. People heard the Word, lives were transformed, believers were formed into churches, and preachers were trained. A civil war started in 1964, in which missionaries were killed; Christian leaders were killed; and churches were destroyed. This forced us to leave the Congo. We returned to the USA, landing in New York City in the winter. We were wearing summer clothing as all else had been lost. My parents heard of Suriname and the descendents of African slaves living in the jungle along the banks of the interior rivers. The result was that we moved to Ricannau Moffo on the Cottica River in Suriname. Darrell often wrote words on the palms of his hands when he had nothing else on which to write as he worked to learn the Aukaner language. We kids learned it fast. He traveled to the villages along the Cottica. 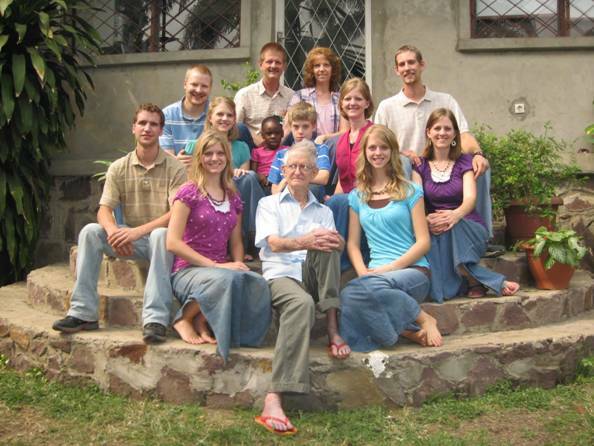 Often the whole family went on these evangelistic trips. Individuals started getting saved; men were selected and trained to become preachers and evangelists. A medical work opened with a nurse-midwife. Brother Ethan was the first baby born in the clinic. 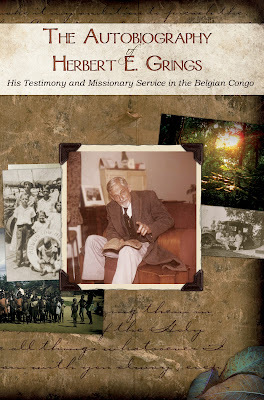 I was the first to return to Suriname as a missionary in my own right with Lynne my wife; Jonathan and Sherrie were next; and then came Ethan and Kim. Others joined us in the struggle of getting the Gospel out to the Aukaners. We went from the Cottica River to the mining town of Moengo, to the Tapanahony River, the Marowijne River, the lake behind the Afobaka Dam, the East-West Highway, and the capital city of Paramaribo. Once more we were caught in a revolution and civil war (1986-1992). This time we did not leave and ministered the whole time. Friday night (August 28th) we held Darrell’s “Singi Neti”, an evening song and praise service, believers from the Cottica River, the Tapanahony River, the Lawa River; from Moengo and Paramaribo, met together for three hours to sing hymns of praise to God and give testimonies of what Darrell’s life had meant to them. The next morning I went to Albina, the border town on the Marowijne River, with the driver of the Moengo van (hearse) and the empty casket. Darrell’s body had been placed in the Albina Hospital’s working morgue refrigerator. Under my supervision, the body was washed, dressed, and placed in the casket. We then returned to Moengo and placed the casket in the church. The funeral service was held Saturday morning, with still more believers representing the capital city churches in attendance. Jonathan preached the funeral service. From the church, the casket was taken to the public cemetery, which is located in the jungle outside of the town. (My father worked in the jungle and desired to be buried in the jungle.) James, the senior evangelist, opened the song service at the burial site. I then prayed, and the casket was lowered into the ground. Many believers spontaneously joined in with hymns and choruses while the lid was cemented on as is the custom here. Sherrie wrote Darrell’s name and his dates in the wet cement. The whole event from the Singi Neti to the cementing of the grave were a time of love and fellowship among the believers, some of whom had not seen each other in years. There were no tears! This was a time full of rejoicing and of glorifying the Lord Jesus for the lives led to the Lord through Darrell’s 50 years of ministry. The work that Darrell started will continue. Louise, David, Jonathan, Ethan and their families ask for your continued prayers and help as there are still more villages that need a steady presentation of the Gospel and lives in the city that need to be touched with the Word of God. The Victoria Advocate, 1933 - "Saved from Blazing Ship in Mid-Ocean"
St. Petersburg Times, 1956 - "Writer Up River to Film a Snake"
The Deseret News, 1964 - "Two Utah, Idaho Families Safe in Congo, Mission Aide Says"
The Deseret News, 1964 - "Enjoyed Congo Work, Minister Says in S.L." The Northern Messenger, 1900 - "Mrs. Jennie Fuller: A Life for God"
I randomly came across this US Naval publication today while I was (supposed to be) researching for something else. (To actually see the things of interest you would have to add the book to your eBook library and then go search for "Grings" in it.) It is a fasinating publication which notes that Herbert E. Grings had just been advanced to Chief Yeoman. But even more interesting is the article, "Cruising in Alaska Waters," about H. E. Grings, C. Y. Grings was aboard the USS Maryland, which was "the first vessel of any size to enter any of the Alaska ports." He reports that the weather that they had experienced was "almost superior to Sunny California" and that some who had gone to see Child's Glacier reported that it was better than seeing Kilauea Volcano in Honolulu the previous year. Anyways, the publication was Our Navy, the Standard Publication of the U.S. Navy, Volume 7, 1913. Click on the picture to see the original properly; I can't get it to post quite right.